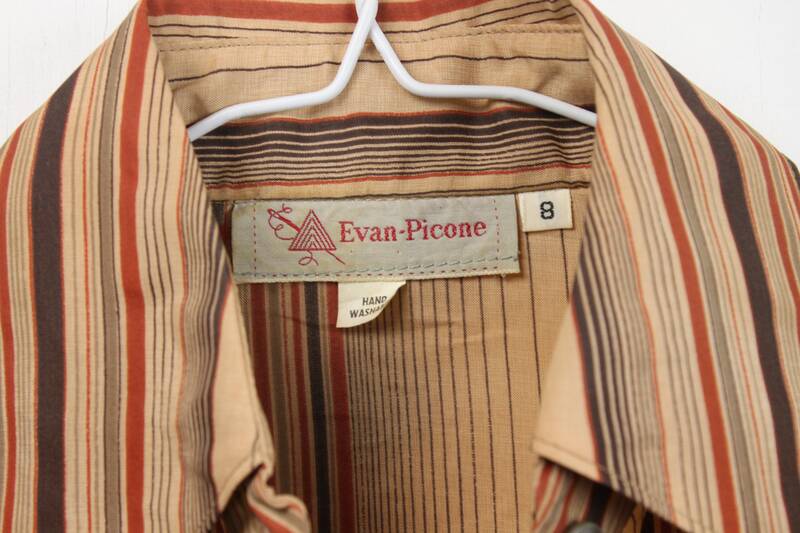 This vintage blouse by Evan-Picone is in stunning condition! 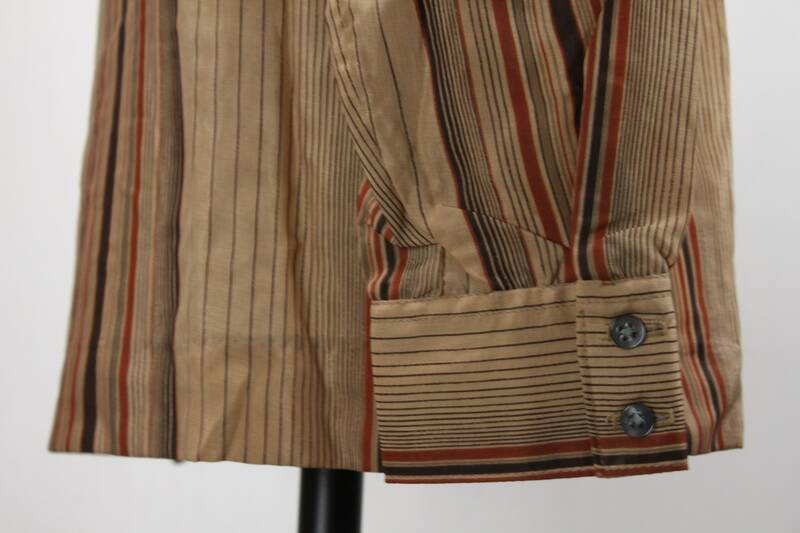 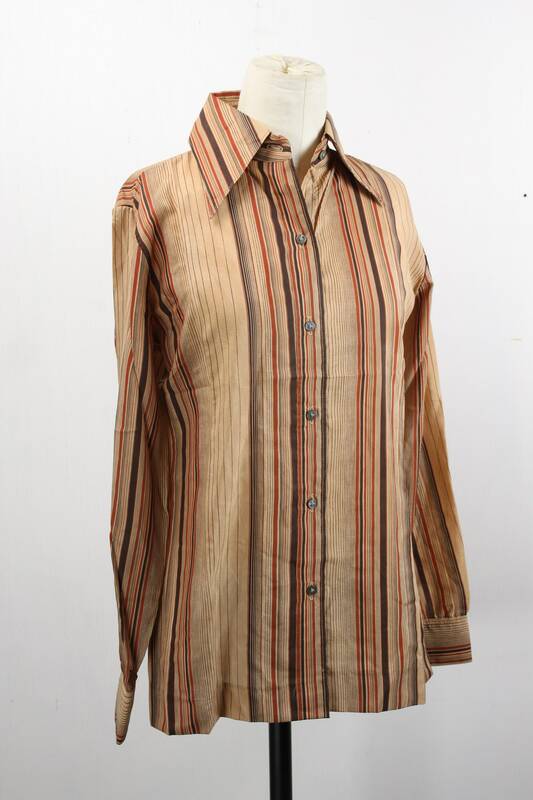 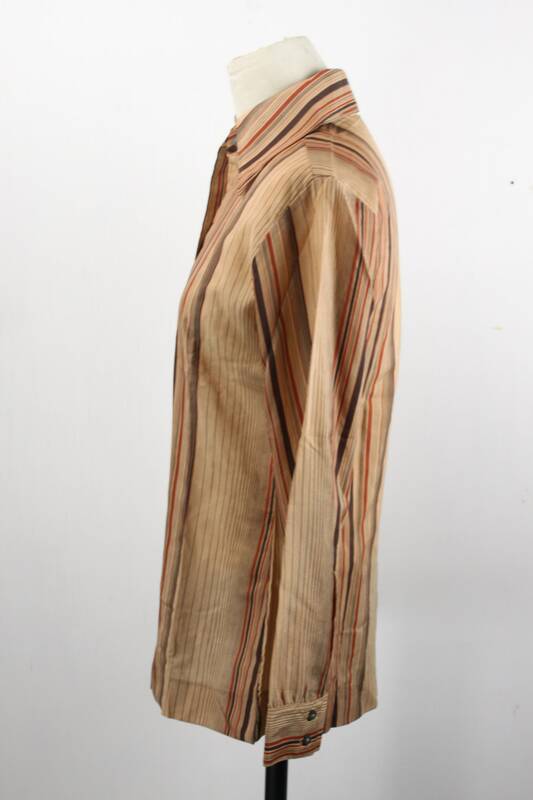 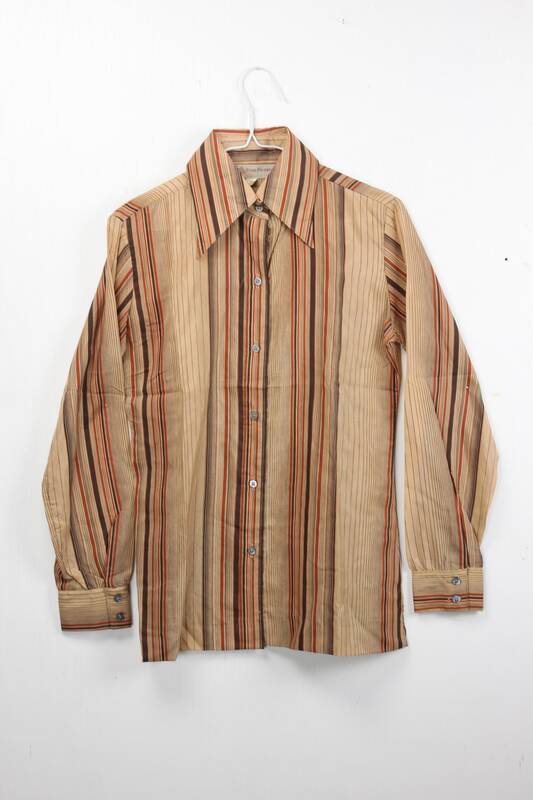 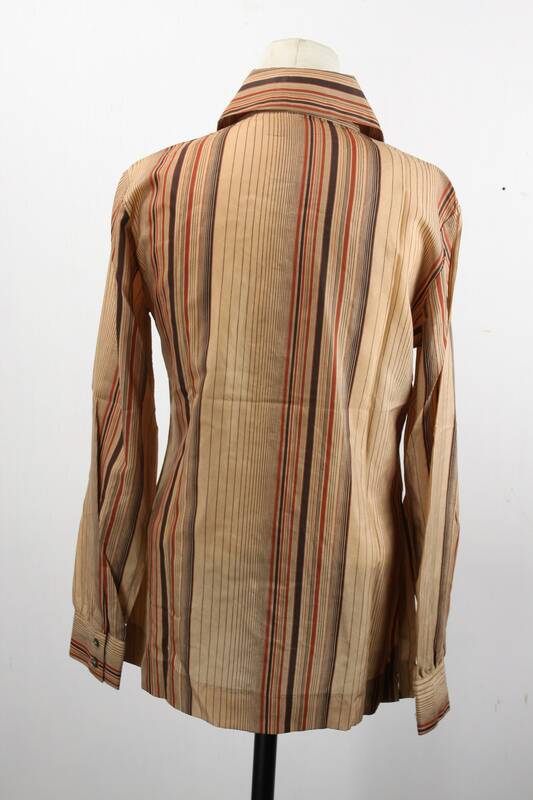 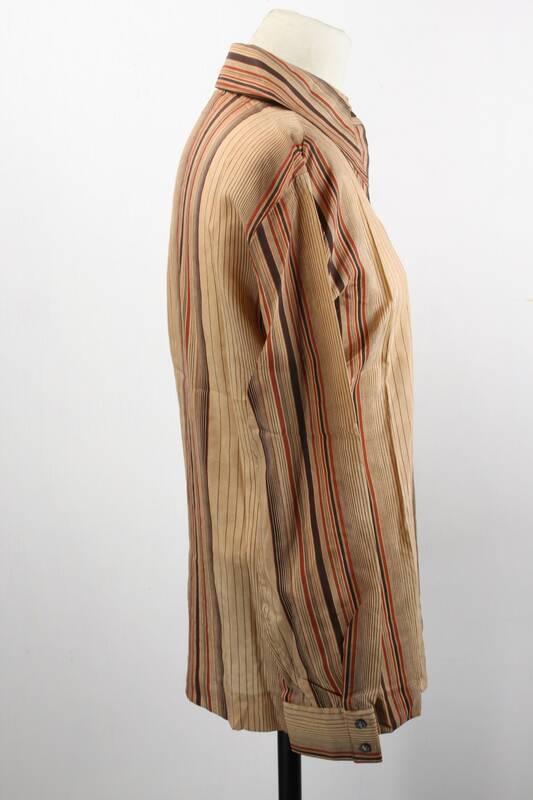 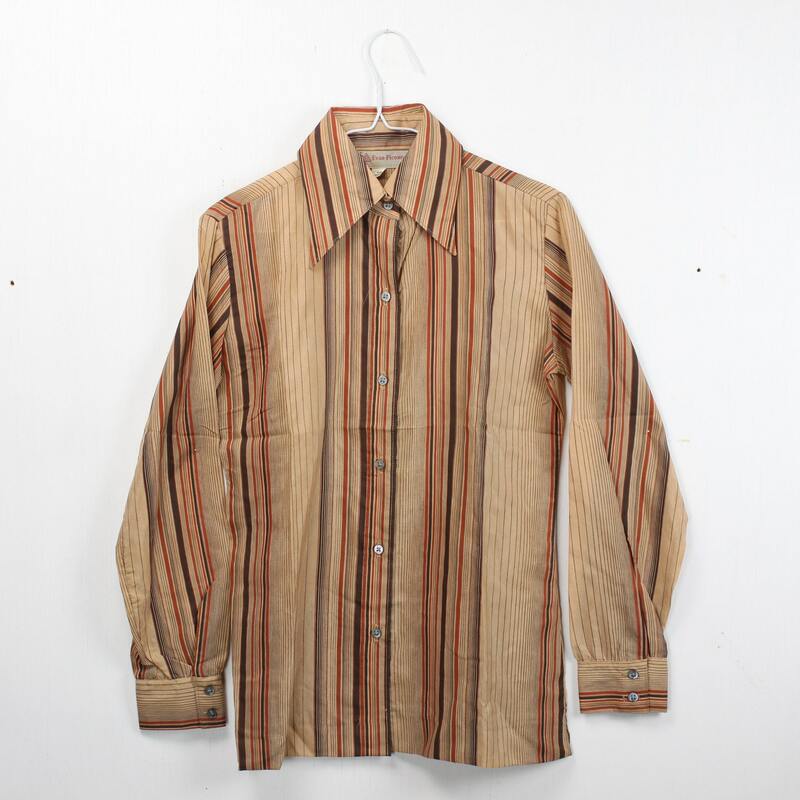 The blouse features an amazing brown scale barcode stripe pattern! 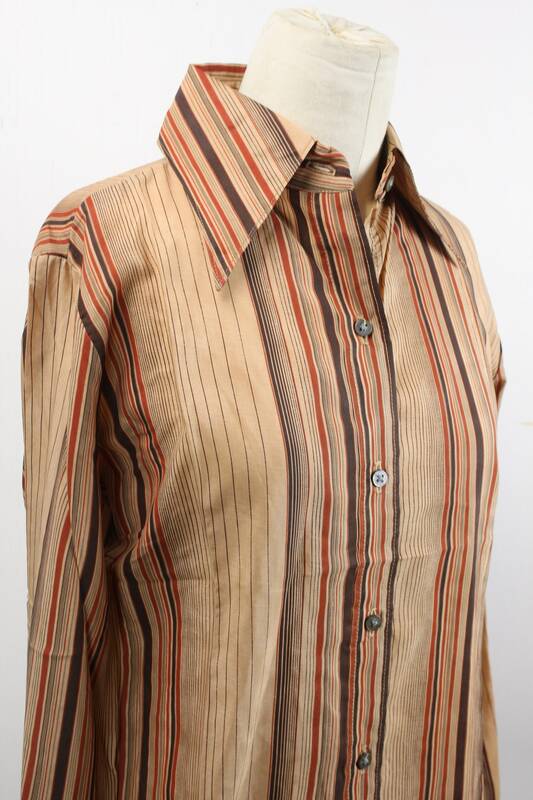 This shirt has a 6 button front closure, butterfly collar, straight cut, vented hem and two button cuffs. 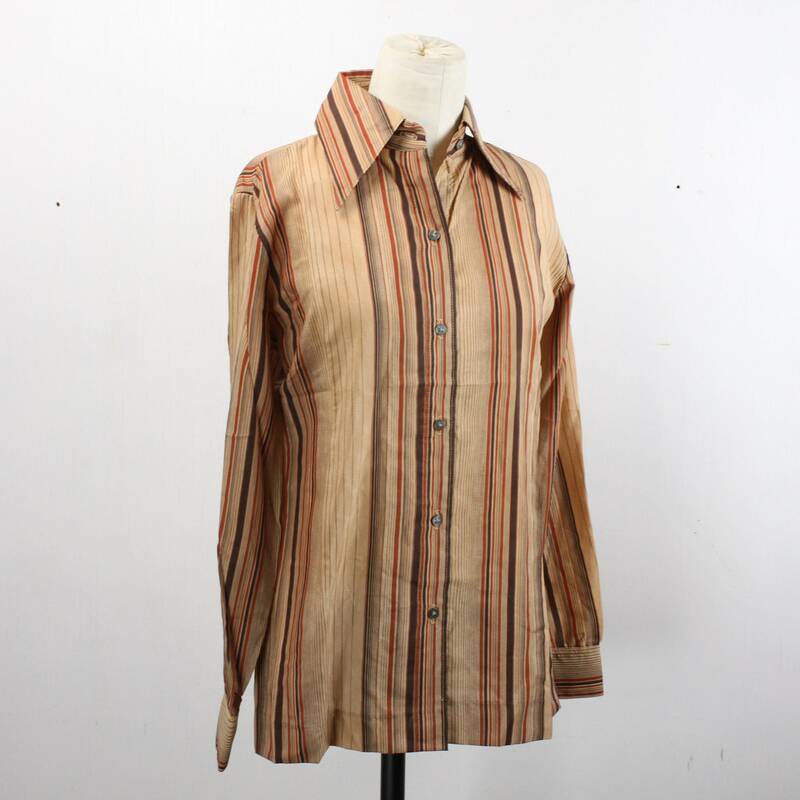 - Neck to hem: 26.5"